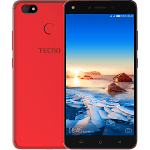 The Tecno Spark 2 comes with a 6.0 inch display and boasts of a 1.3 GHz Quad core Cortex A53 processor with Android 8.1, Oreo (Go Edition). It also comes with a 1 GB of RAM, an internal memory of 16 GB. It has a back/ rear camera of 13 MP and a 8 MP front camera with a 3500mah Li-Po battery capacity to push all this. 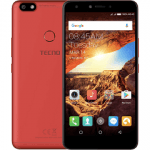 Below are Online stores you can buy Tecno Spark 2. The Online stores Jumia, Gearbest and Konga. The Tecno Spark 2 comes with dual SIM slots and supports the 2G, 3G and does not support 4G LTE Band for its connectivity. It has inbuilt with it Wi-Fi capability and the ability to create Wireless Hotspots. The Tecno Spark 2 comes with a display of 6.0 inches. It uses the IPS LCD display technology. It has a resolution of 1440 by 720 pixel. The display is quite good quality for phones within this price range. The Tecno Spark 2 boast of a Quad (Four) Core processor clock at 1.5 GHz, the chipset is the MediaTek MT6580WP. The GPU is the Mali. The Tecno Spark 2 also comes with a 1 GB of RAM, an Internal Memory (ROM) of either 16 GB. The storage space can be expanded via the micro-SD slot (Maximum allowable Storage for Micro-SD is 128 GB and it uses a dedicated slot). 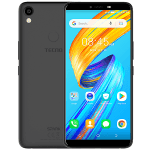 The Tecno Spark 2 comes with Android 8.1, Oreo (Go Edition) out the box. The Tecno Spark 2 makes use a 13 MP back or rear camera with LED flash and an 8 MP front camera with LED flash light. The Tecno Spark 2 has a battery with the capacity of 3500 mAh. The Battery uses the Li-Po technology and it is non removable. This battery could last for a day on an average heavy usage. Sim 2 only allows 2g network. How do I set up both Sim cards to 3g? Change SIM 2 slot to the data connection SIM and the 3G network will be available. Go to Messages, Select the text you want to delete and touch Delete and the message will be deleted. Please try to clean the cache on your device. 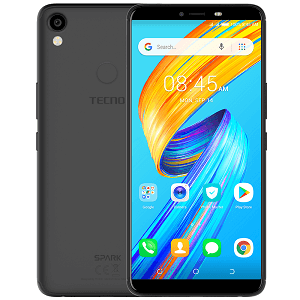 how much is tecno spark 2 ka7 now? please how do i change the font? To change your fonts, go to HI theme, you get to select any font of your choosing there. very nice device that suits students perfectly. Y is it that d device don’t show gallery, music app and video… Even file manager. check the folder photos for that, you wont see an app called gallery, check photos folder. 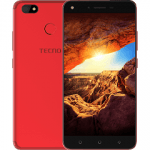 good one from tecno, its a nice budget friendly device.